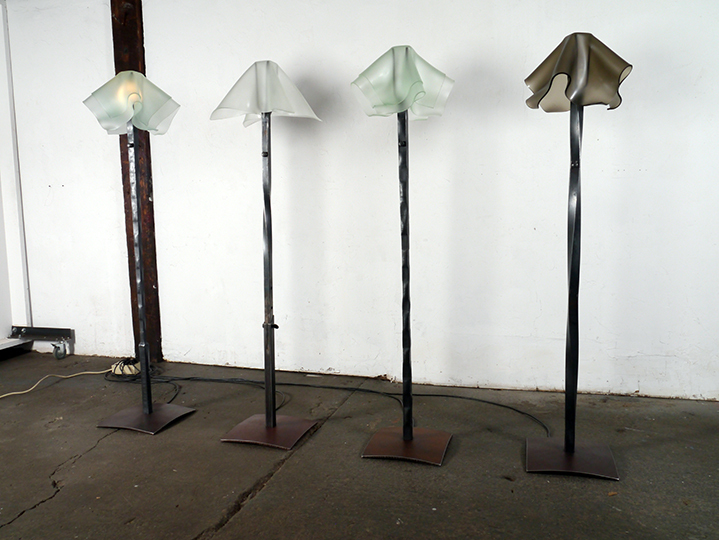 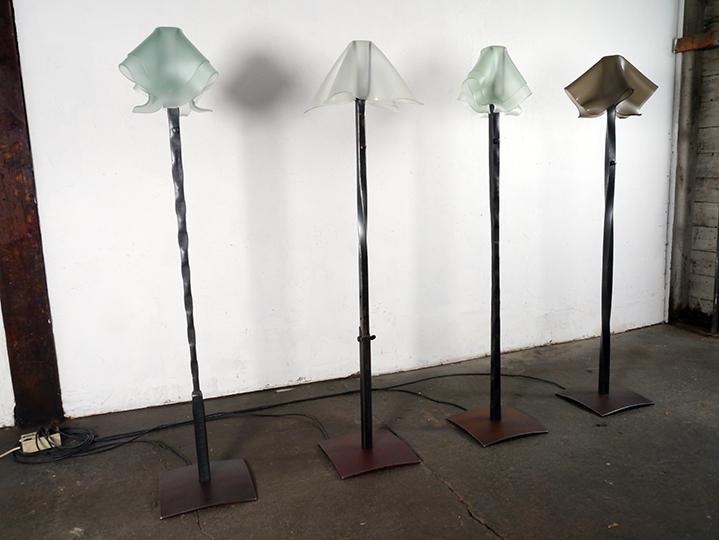 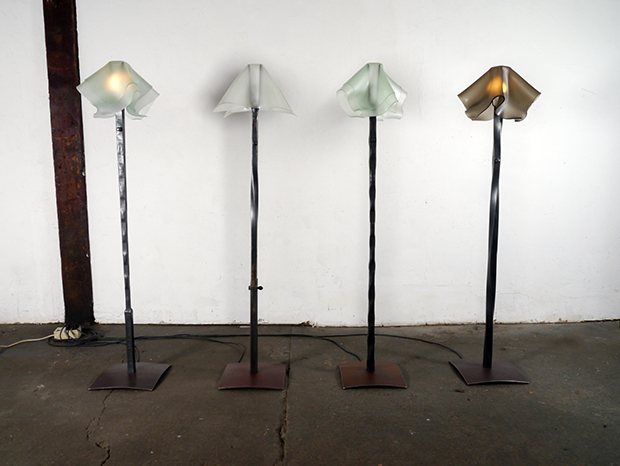 Like the table lamps, these unique shades celebrate the character of plate glass slumped at just the right temperature, time and gravity. Wired with a LED bulb and rotary dimmer switch on it’s post, these are both interesting and functional floor lamps. 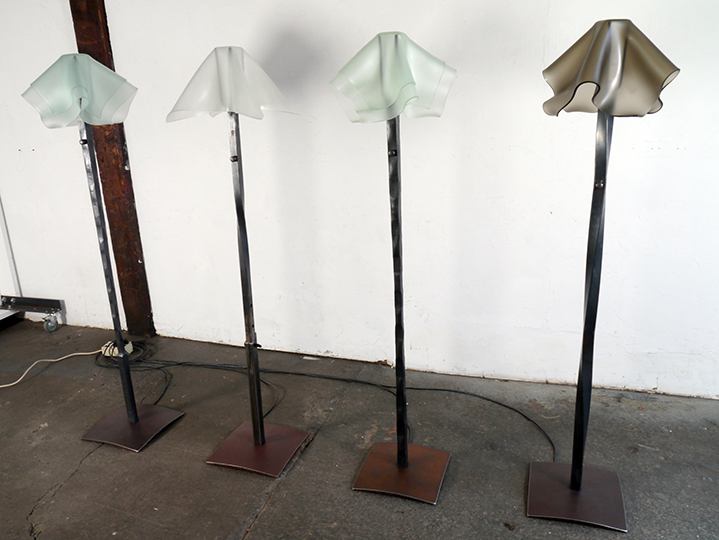 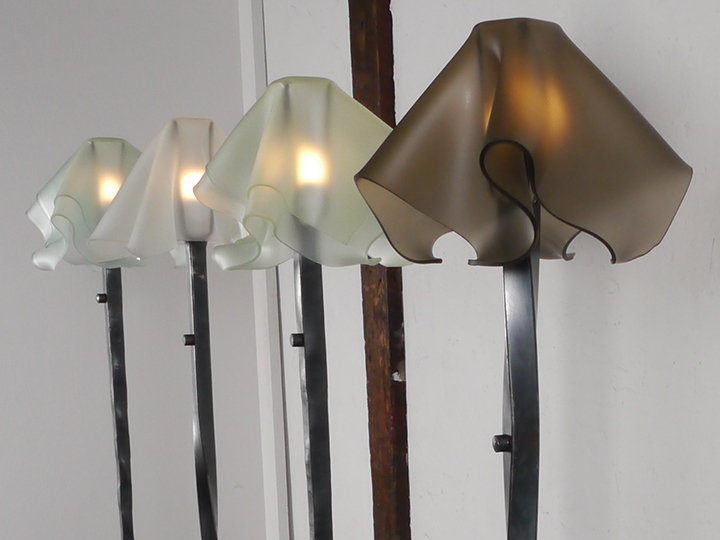 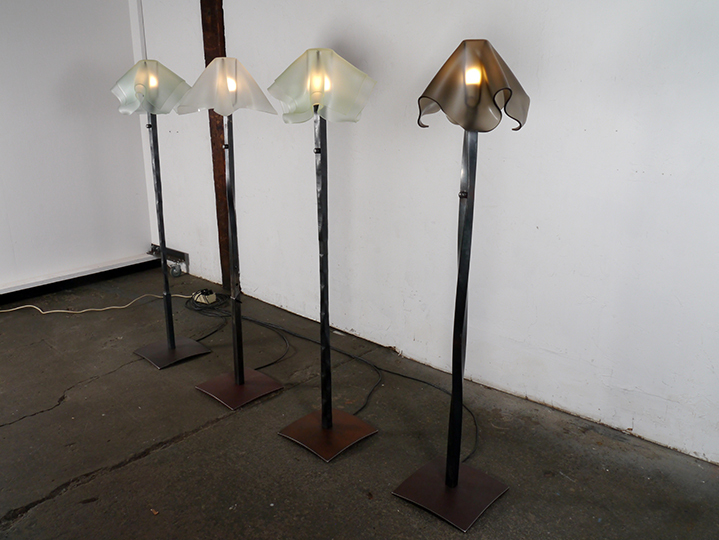 The glass shades can also be built into hanging and table lamp designs.